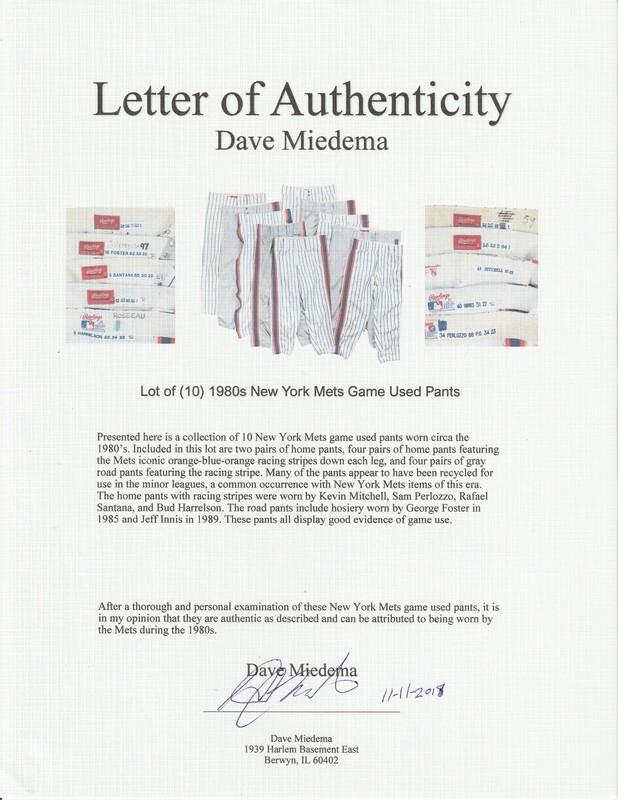 Presented here is a collection of 10 New York Mets game used pants worn circa the 1980’s. 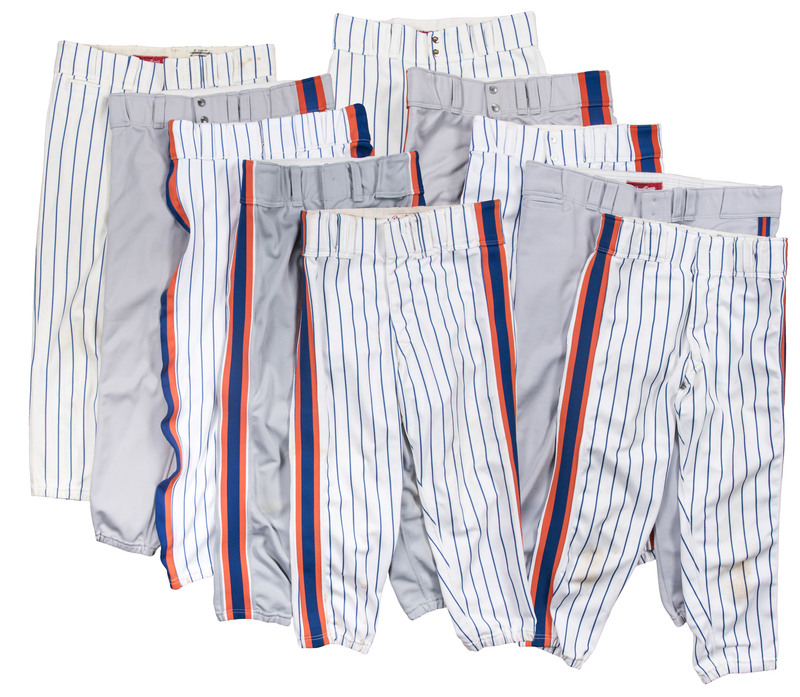 Included in this lot are two pairs of home pants, four pairs of home pants featuring the Mets iconic orange-blue-orange racing stripes down each leg, and four pairs of gray road pants featuring the racing stripe. 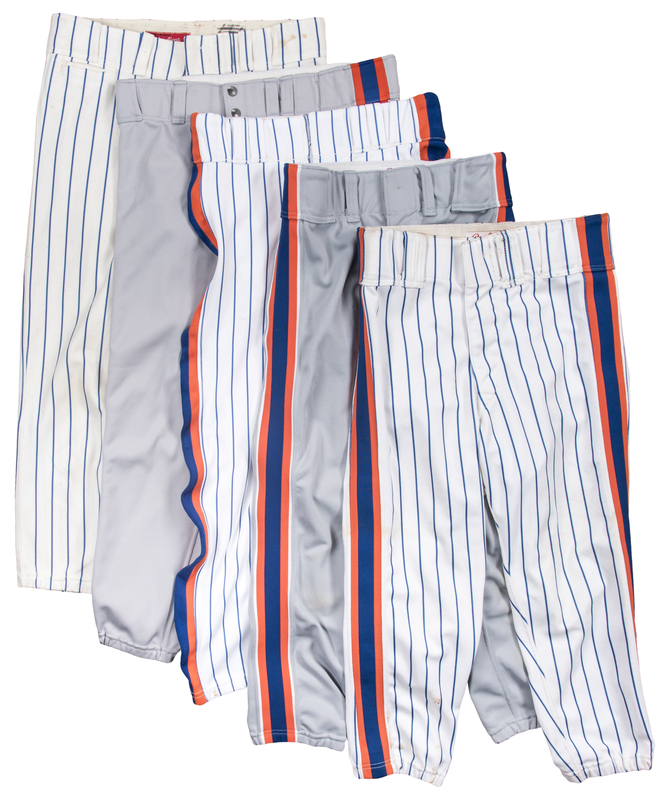 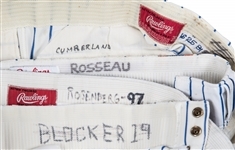 Many of the pants appear to have been recycled for use in the minor leagues, a common occurrence with New York Mets items of this era. 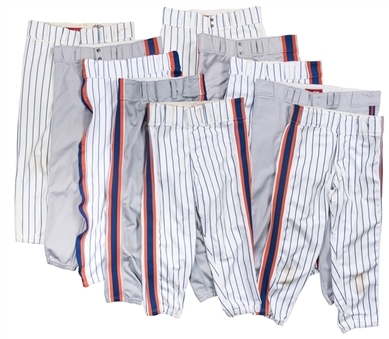 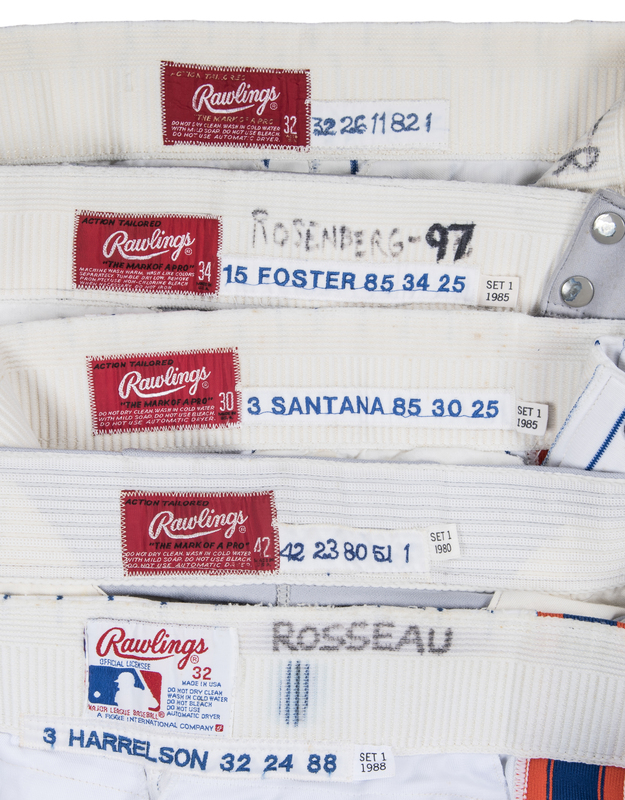 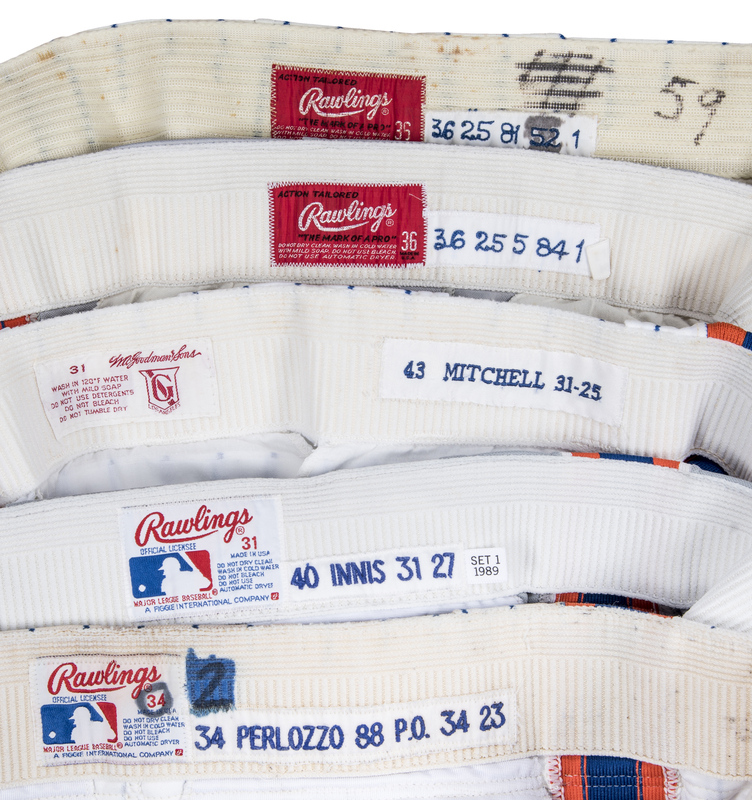 The home pants with racing stripes were worn by Kevin Mitchell, Sam Perlozzo, Rafael Santana, and Bud Harrelson. 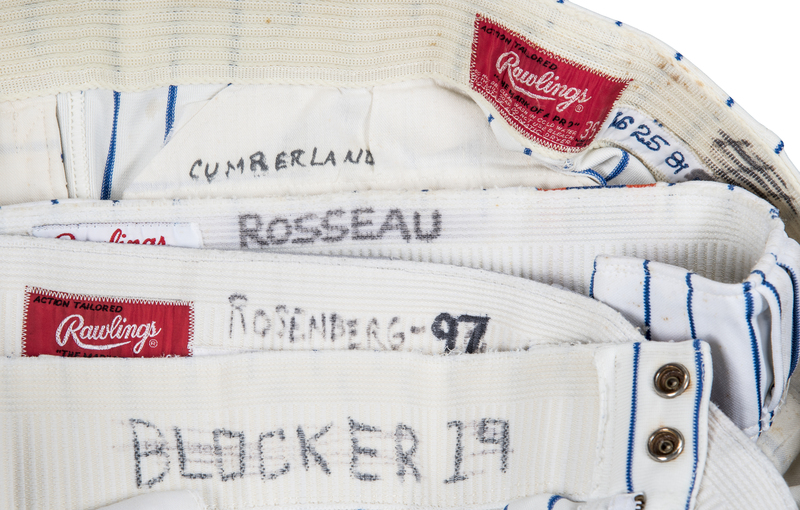 The road pants include hosiery worn by George Foster in 1985 and Jeff Innis in 1989. 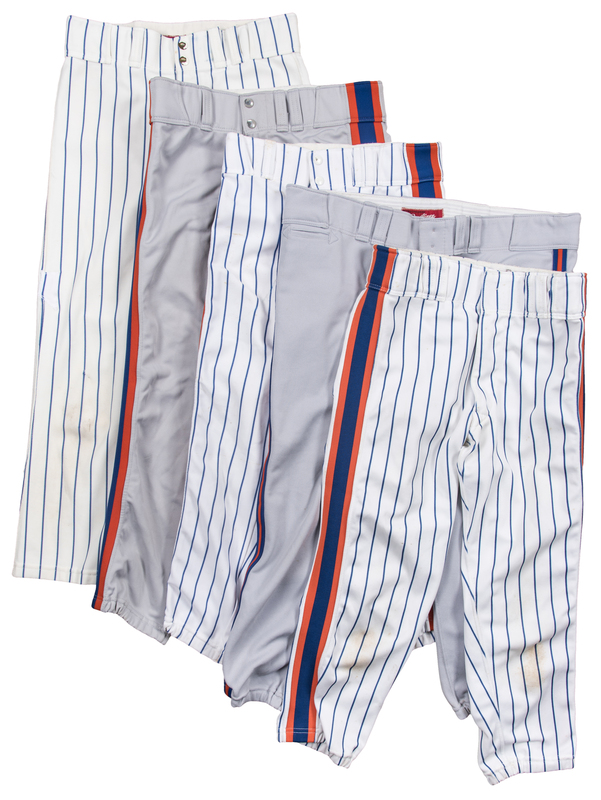 These pants all display good evidence of game use.